This month, as we celebrate Thanksgiving in the United States, we are discussing gratefulness in our classes. Gratefulness is a virtue we should all practice. As a parent or guardian, we need to teach our children to be thankful for what they have. We can teach our children to be grateful for their family, friends, teachers, and nature. Helping our children experience gratefulness will build their character and ethics as they grow into adulthood. • About money and how much money it takes to buy things they want. • To appreciate their home, family, and the food they eat. • To take care of their pets and how grateful their pets are for good care. • To appreciate their school and teachers and their ability to learn everything they can. • How you helped them get involved in martial arts and other activities. • To write thank you notes when they receive a gift. Help your children understand that doing a good deed for another does not mean they should expect something back. Being grateful is something for which we should all strive; giving gratitude makes us feel good. Every day, discuss different things you are grateful for. 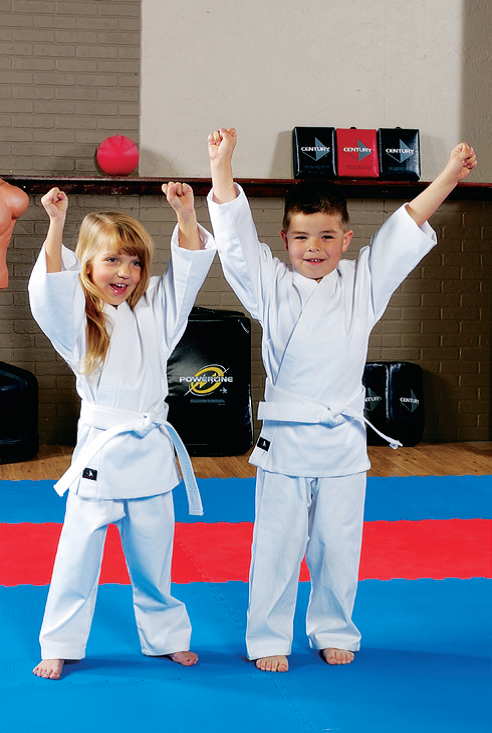 Are you looking for a Martial Arts School that emphasizes gratitude and character development? Then give us a call right now at 757-410-4999 to find out how you can get started in one of our incredible programs today! Join the fun at King Tiger Martial Arts where you’ll experience expert training in a fun, positive and supportive environment suitable for everyone in your family. Or simply fill out the box in the upper right corner and take advantage of our FREE 30 Day Trial Membership!